Iran Wednesday successfully test- fired a satellite rocket and unveiled three new satellites and a satellite carrier, Iran's English-language satellite channel Press TV reported. 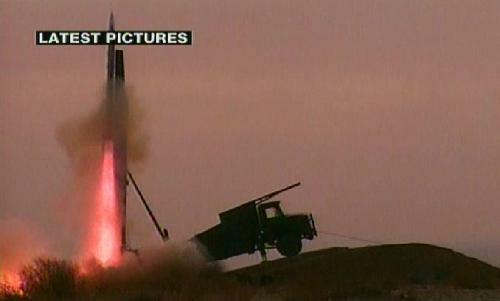 The report said the "Kavosh 3" (Explore 3) rocket carrying an "experimental capsule" has been successfully test-fired and will transfer telemetric data, live pictures and flight and environmental analysis data. Live video transmission and the mini-environmental lab will enable further studies on the biological capsule, which carries a rat, two turtles and worms, as it leaves earth's atmosphere and enters space, the Iranian Aerospace Organization (IAO) was quoted as saying. Also on Wednesday, Iran unveiled three new satellites -- Tolou, Mesbah 2 and Navid -- which were designed and produced domestically, Press TV said. 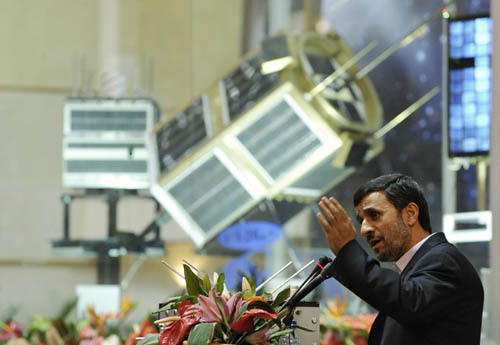 In the inauguration ceremony attended by Iranian President Mahmoud Ahmadinejad, the IAO also unveiled the country's first domestic satellite carrier engine, called Simorgh. The Mesbah 2 satellite, a low-orbit communications satellite, is currently under manufacture and no date has been set for the test- flight of the Mesbah 2 prototype, Press TV said. Iranian Defense Minister Ahmad Vahidi has called the Tolou a "reconnaissance satellite," however, the purpose of the Navid satellite was not clear. On Feb. 3, 2009, Iran sent its first home-built satellite Omid (Hope) into orbit by the Iranian-produced satellite carrier Safir 2. Iranian officials said Iran has plans to put a "series of satellites" into space by 2010 to aid natural disaster management programs and improve telecommunications. A Chinese language teacher is needed for Tai Shan due to arrive from the United States on Friday.